Cans 101: At its core, a beer can is made up of two parts: the end (or lid) and body. The craft beer revolution has taken the world by storm, but as craft breweries multiply and gain more market share, new challenges arise. Here’s one: seaming cans reliably and consistently. Modern cans have remained largely unchanged for more than a century, with their origins dating all the way back in the 19th century, and this has remained one of the most popular means to store and transport food and beverages ever since. The freshness factor is the biggest benefit of aluminum. Cans protect their contents against light and oxygen and can keep the beer tasting as fresh at the customers’ home as it does at the brewery. A second factor is efficiency. Aluminum cans are lightweight and stackable. This makes transportation easier, less expensive and friendlier to the environment. Finally, aluminum cans are sustainable. Recycling aluminum cans is amazingly easy and fast, recycled aluminum can turn into a new can in a matter of 60 days or less. The average can today usually contains as much as 70 percent recycled aluminum. How do you can beer? 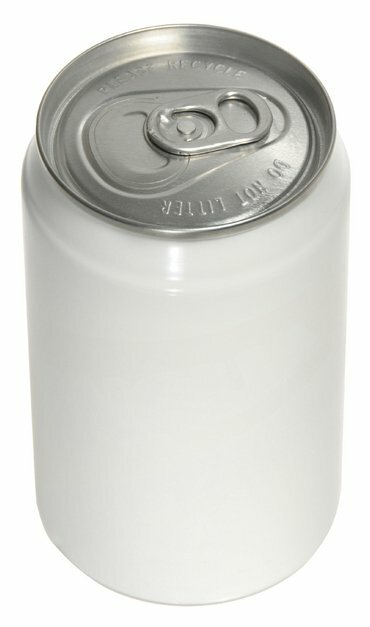 At its core, a beer can is made up of two parts: the end (or lid) and body. Can makers supply both cans and ends. In terms of size, the typical 12-ounce can is typically a “200/211” (2-inch diameter lid on a 2 and 11/16-inch body). When you purchase the can body, you will notice it has a flange. The end contains a curl. When the filled can reaches the seamer, it is raised up by the seamer and the end is placed on top of the can by a tooling known as the “chuck.” The chuck holds the end in place, right on top of the filled can, while the seamer does its magic. The seaming works by folding up the edge of the can (the flange) with the curl of the end. This process of “folding” is called double seaming — and is done in two stages by the seamer. In the first operation, a tooling part called the “first operation roll” comes in and folds the curl into the flange. The two are now held in place but are “loose,” so a “second operation roll” comes in and irons out the seam to make sure that it is nice and tight. Unfortunately, this process isn’t enough to protect the beer from contaminants or from leaking out. This is where the compound comes in. This rubbery substance is sprayed onto the insides of the end by the manufacturer and makes sure that the double seam is sealed tightly. The craft beer revolution brought about a few changes to a fairly traditional market. A handful of seamer manufacturers, the bigger ones located in the United States, Switzerland, Italy and China, spearheaded the industry. They are complemented by only a slightly larger rebuilder market, where old broken down seamers were taken apart and rebuilt to create a thriving preowned market that was substantially cheaper than the original manufacturer price. There are several types of seamers, starting with one head and going all the way up to 24 heads. Each head multiplies the number of cans that the seamer is capable of seaming per minute. Theoretically, an 18-headed seamer rotating at the same speed as a one-headed seamer would close cans 18 times faster. Each seamer head can be considered a separate machine running in parallel to the other heads. 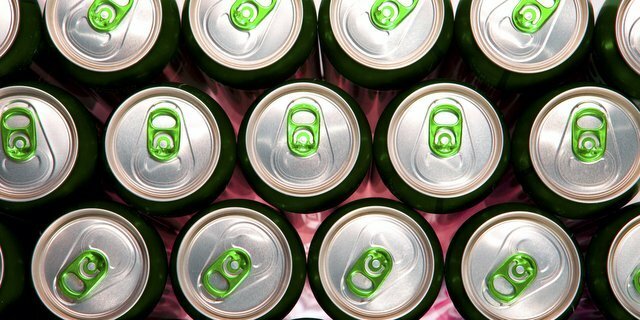 One headed and manual seamers are pretty slow to close a can, while the big beverage companies often run their seaming lines at rates of 1,200, 1,800 and up to as much as 2,400 cans per minute (CPM). When craft brewers started to can, they looked for different solutions. This gave way to a new category of smaller seamer manufacturers. These focus on inexpensive, simpler, easier to maintain machine designs, running at slower rates with a small number of heads (usually between one and four). Cans sound great, so what’s the catch? Well, there’s always a catch. When you think of craft beer, you ultimately think about quality. This means that the unique, great tasting beer people like to drink at the brewery needs to last through containment, storage, transportation, distribution all the way to wherever the customer decides to drink it. So the question remains — how to make sure that the customer opening the can a few weeks after production experiences the exact same taste? There are lots of parts that need to fit together for the can to be a truly sealed container. Most of these are the responsibility of the can maker. They make sure that the cans and ends are properly made (there are many different parameters that ensure that is the case) and that the “easy open” tab doesn’t break off when you pop the top. However, there are some things that the can-makers can’t do for the breweries, the most important of which is the seaming process. This is done at the brewery, which means it’s the brewery’s responsibility to make sure it’s done right, and this is no easy feat.